How to Get 3 Stars on Level 18, Halloween Theme, Style Me Girl | I Style Me Girl! 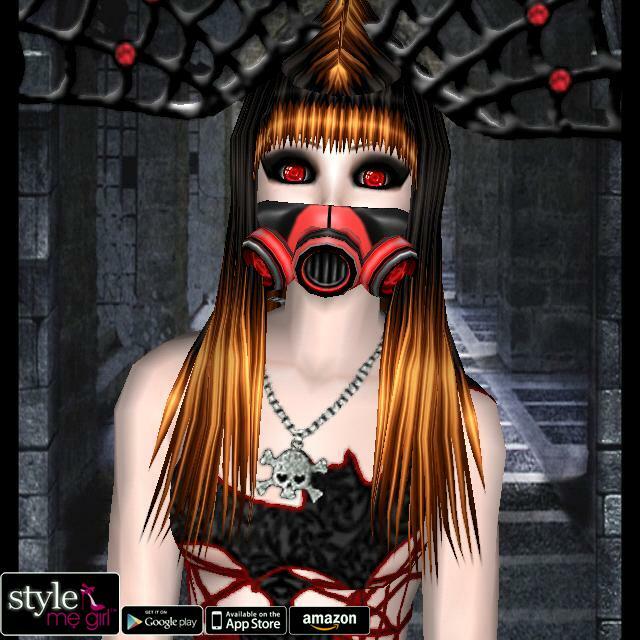 My previous posts on "Halloween," theme Level 18 of Style Me Girl, are some of my most visited, so I decided an updated example should be posted straightaway. 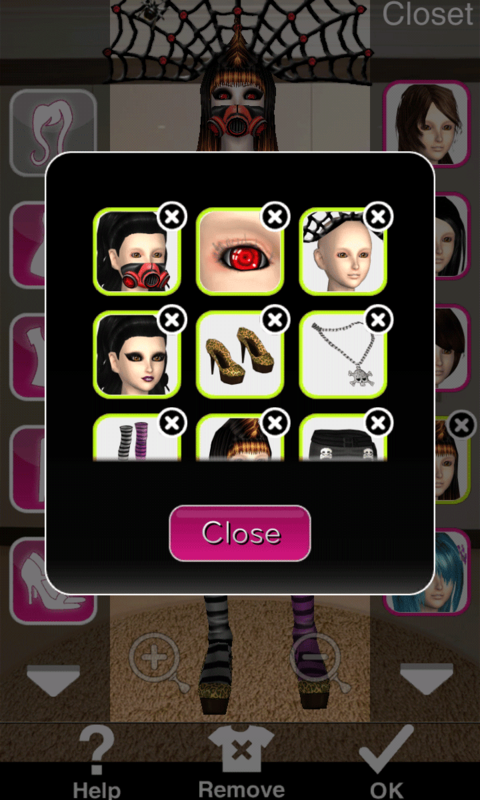 So, here it is, if you would like to see how I was able to earn three stars on Style Me Girl Level 18, Halloween Theme, without using any cash items continue reading the full post! All of the items I have used in this Level 18 Halloween theme example either come with the game (for free) or are silver coin items (not cash) available in the Style Me Girl Boutique. Each item is listed and pictured below, and for further clarification the screen captures in the "Closet Items," boxes (below right) can be clicked to enlarge. Good luck Me Girls! I've included the screen capture of my "STUNNING!" score left to verify that this does work, at least, it does for me and I hope it will for you as well. Mine also said I need a poncho. Ended up adding the skull earring to this to get 3 stars. I can't get the curtain to open! Any suggestions? I can't get curtain open either! Any help out there ? Mine aometimes says dreadlocks or mohawk and the thing is... A PONCHHO?? Mine says I need a poncho.. which one do I use?